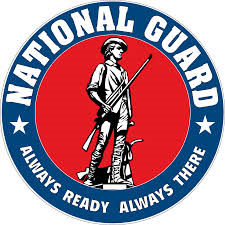 Members of the National Guard remain in limbo during the shutdown, with their weekend drills canceled and the funding necessary for training exercises left unapproved. Defense Secretary Chuck Hagel’s Monday announcement that the Pay Our Military Act allows many civilian employees of the Defense Department to return to work, and also guarantees payment for the military, does not help most National Guardsmen. This entry was posted in Military Policy and tagged 2013, Air National Guard, Army National Guard, Government Shutdown, National Guardsmen by Jennifer Norris. Bookmark the permalink.